Carnival Cruise Line today announced that Australia’s favourite cruise ship, Carnival Spirit, will be spending the southern-hemisphere winter in Alaska and Hawaii in 2020. Voted by Cruise Critic members as Australia’s favourite year-round ship, Carnival Spirit has called Sydney home for over five years. As of October 2020, she will relocate to her new Australian home port in Brisbane. Before relocating, she will spend a season in North America, cruising Alaska and Hawaii in 2020. 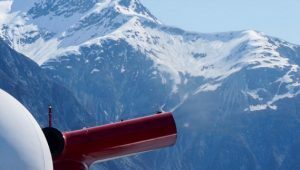 This North American season will provide an opportunity for Aussie cruisers to sail on some unique itineraries including the Alaskan inside passage, boasting wildlife and lush scenery, stopping at Skagway, Juneau and Ketchikan as well as Victoria B.C. The 2,124 passenger Carnival Spirit will also set sail on a 20-day cruise from Honolulu to Brisbane on Thursday, 1 October 2020 calling in at Papeete, Moorea and Bora Bora in French Polynesia, Nuku’alofa in Tonga and Mystery Island in Vanuatu along the way. Travel agents can keep up to date on international and domestic Carnival news by joining the Carnival Fun Zone member group on Facebook. 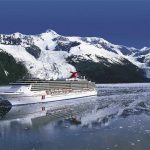 *Price in AUD per person based on 7 day Alaska 26th May 2020 departure on Carnival Spirit. Cruise rates are in Australian Dollars (AUD), per person, based on double occupancy, capacity controlled and subject to change.